Moringa oil is the oil extracted from the mature seeds of the tropical wonder plant, Moringa oleifera. It is a prized beautifying oil which has moisturising, antibacterial, antioxidant, anti-inflammatory, nourishing and anti-ageing properties. 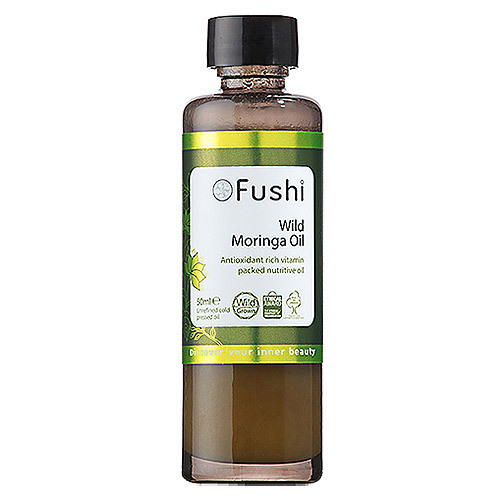 The great thing about Moringa oil is that it is an incredibly stable oil and does not go rancid for years. This unique quality is due to its high levels of antioxidants and its inherent antiseptic qualities. Moringa is ideal as a nutritive oil for anti-ageing or smoothing the skin as well as being useful to hydrate and moisturise skin. It offers cleansing and refreshing qualities to wick away dirt, leaving the skin looking fresh. Use it as a cleanser, or hot oil treatment or even as a night oil to treat tired skin. Moringa oil offers many health benefits too. It contains 9 of the 20 essential amino acids and is a rich source of fatty acids, notably omega-9 fatty acid. Flavonoids as well as phytosterols present in the oil work in combination to help lower inflammation and an impressive vitamin and mineral profile ensures Moringa oil is a wonderful addition to your skin care routine. 100% Wild crafted Moringa (Moringa oleifera) oil, Cold Pressed, Unrefined. 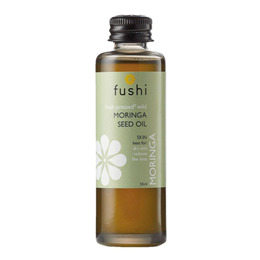 The healing Moringa oil offers plenty of healthy and beauty uses. Deeply replenishing, for all skin types. Apply 10-15 drops daily to your face, avoding the eye area. Or use overnight as a night oil treatment. Protect the skin by massaging 1-3 drops onto the affected area twice daily. Soothe and repair the skin by applying a few drops to heal minor skin abrasions, scrapes, bruises, burns and insect bites. Naturally skin repairing. Apply 5-10 drops to the affected area twice daily. Moringa oil may solidify quite rapidly in reaction to change in temperatures.To melt place the bottle in a saucepan of hot water, do not place the bottle in boiling water or over a direct heat source, and allow to stand until the oil is in a liquid state. If you suffer from skin conditions or allergies, make sure you do a patch test first. Below are reviews of Fushi Wild Moringa Oil - 50ml by bodykind customers. If you have tried this product we'd love to hear what you think so please leave a review.